Dates are filling up fast for our high school touring show, Home 2.0, but don’t worry if you can’t see it in schools; there’s an opportunity for the public to see it at the Millenium Library on October 20th! The show starts at 2pm, and you can register for it here. Although the registration form states that it’s only for teens, all are welcome. It is recommended for ages 13 and up, to allow for meaningful participation in the interactive segment. Following a successful first showing at the Graffiti Gallery on the 11th, community members will have another chance to see this powerful performance. Based on extensive interviews with newcomers in Winnipeg, the show centres around the experiences of youth as they arrive in Canada, and touches on themes of resettlement, starting over, and belonging. What sets this show apart is the interactive element. It presents a “worst case scenario” for each of the characters, and then ends with a chance for audience members to intervene and alter the ending. 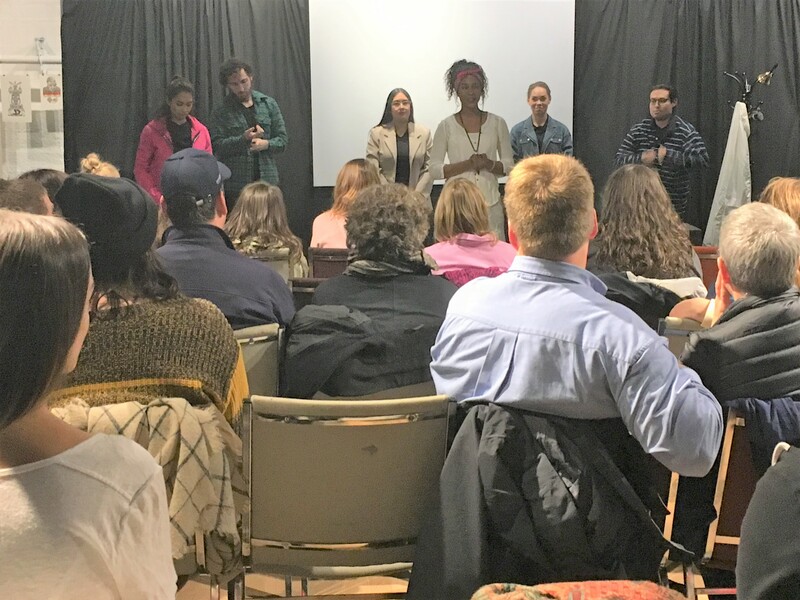 It empowers audience members to think about what they can do to be more understanding and compassionate to new Canadians, drawing on resources in the community and their own empathy to create change. “This is not just about some make-believe world we’ve created; these problems exist in the real world,” explains the Joker at the end of the show. 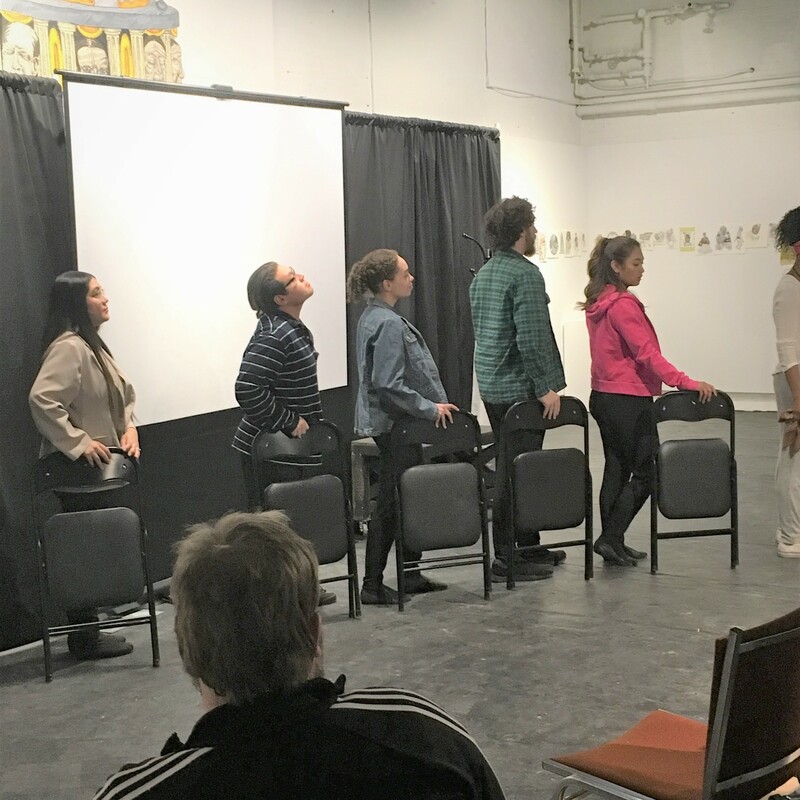 The performance showcases various scenarios that newcomer youth often find themselves in, presented through acting, song, and movement. The show also includes two short videos created by Snow Angel Films. Both capture the stories of Yazidi refugees. The first is Diyar Salih sharing his own experience as a privately sponsored refugee. 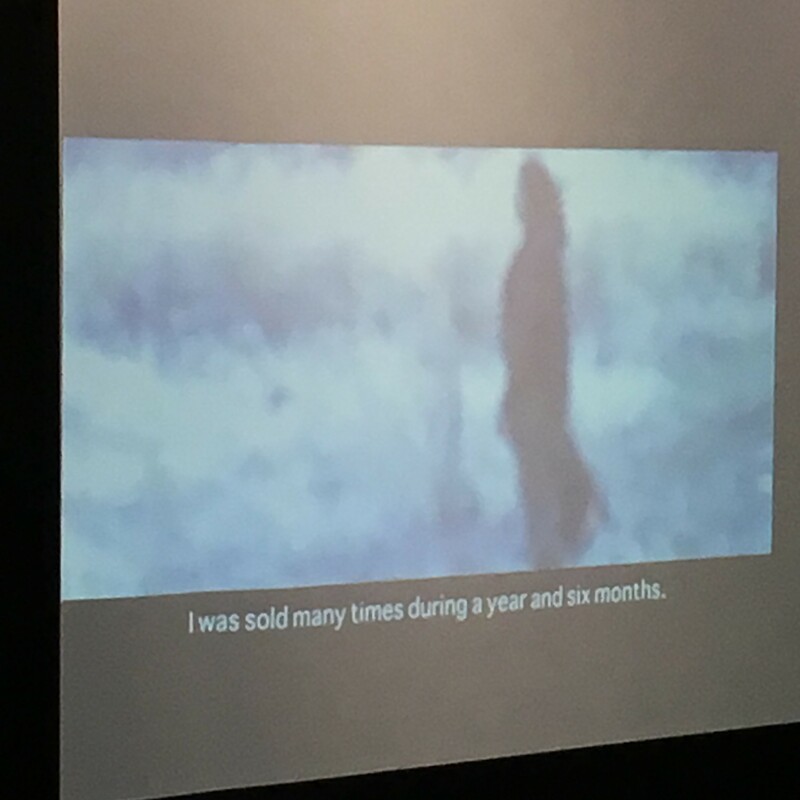 The second video is the testimony of a young woman who has asked to remain anonymous. She is a government sponsored refugee; often the amount of money the government provides for support barely covers the cost of rent and there is little social support. Yazidis are part of a Kurdish religious minority and one of the oldest religious and ethnic minorities in the world. They have faced persecution for over 700 years, suffering over 70 massacres and going from a population of 23 million to approximately 700,000 today. The latest large-scale campaign against them began again in 2014 and they continue to be targeted by ISIS militants in the Middle East. This resulted in a large number of Yazidi refugees as people leave their homes in Iraq to escape the violence. Many now live in refugee camps in Syria and Turkey. A Yazidi human rights activist, Nadia Murad, recently won the 2018 Nobel Peace Prize for her efforts to end the use of sexual violence as a weapon of war and armed conflict. Her story echoes that of the second video featured in Home 2.0, and provides a powerful connection between the play and the real world. Don’t miss your chance to see the show! Register online for the Millenium Library showing on October 20th at 2pm here. Although the registration form states it’s only for teens, all are welcome to attend the show. Bring a friend and explore the experiences of newcomers, or come to see representations of you and your story. We are still booking dates at schools as well! If you’re a teacher or administrator who’s interested in having Home 2.0 at your school, contact our Touring Coordinator, Angelina, at touring@sarasvati.ca or by phone at (204) 586-2236.